The costume is being worn by our nine month daughter for her first Halloween!! 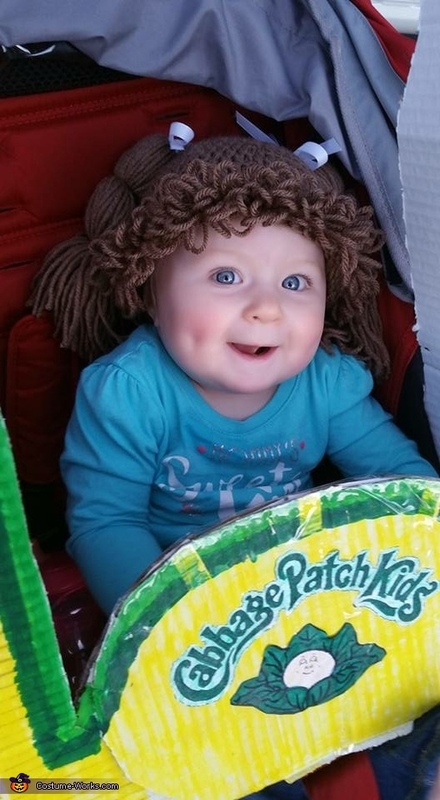 The idea came from everyone always telling us she looked like a cabbage patch kid especially with her dimples. My eleven year old daughter helped me make her box to put around her stroller. We used a handful of yellow markers to color the whole box and made it look just like the box they came in from the store.